For someone whose credit score is off a few points from a financial institution’s qualifying score has few options: they are either outright denied a loan or end up with an expensive financial product. 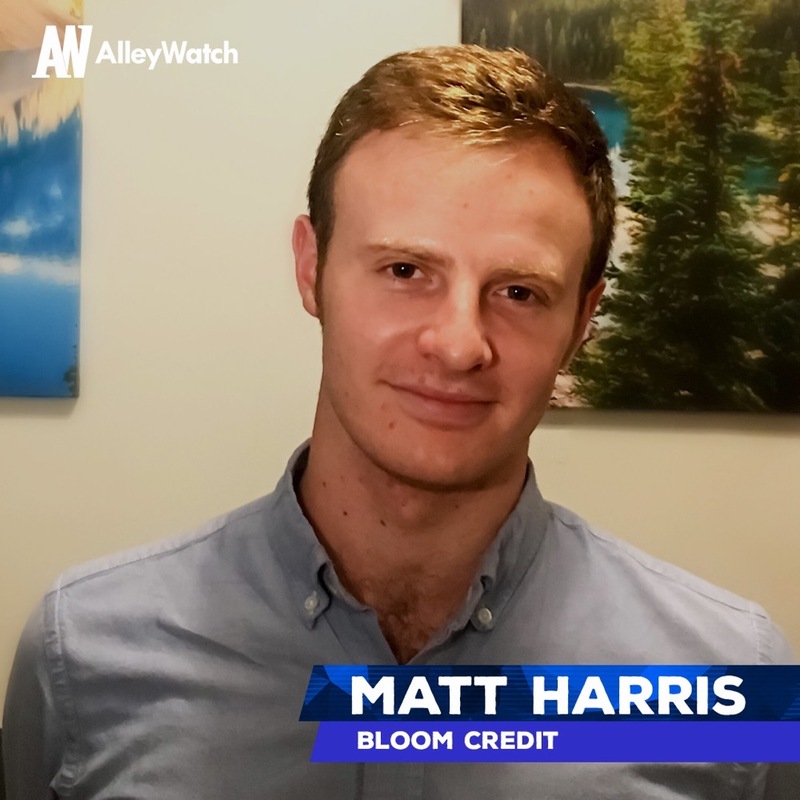 But that’s changing with Bloom Credit, the financial wellness platform that provides denied applicants with a data-driven credit-building roadmap to help improve their financial health. This system analyzes credit reports to determine the cause of poor credit and it then provides a specific solution to improve customers’ scores. Customers normally become eligible for a loan within six months of using Bloom Credit. 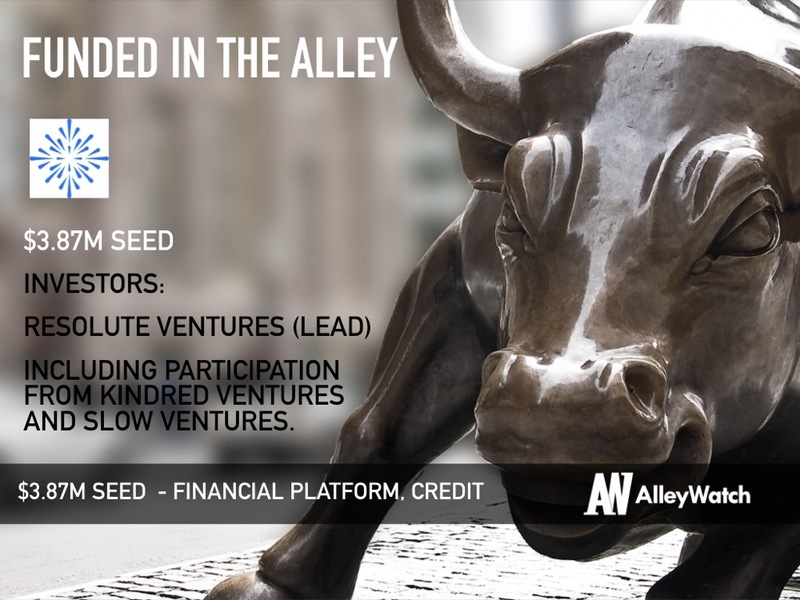 AlleyWatch spoke with CEO and cofounder Matt Harris about the company and the process of raising capital to innovate the credit industry. Bloom Credit has raised a total of $3.87M in seed investment. 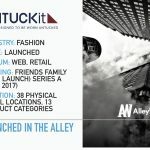 Resolute Ventures led the latest investment with participation from Kindred Ventures and Slow Ventures. Earlier investors include 500 Startups through their Fintech Fund. Tell us about the product or service that Bloom Credit offers. Bloom Credit is a financial wellness platform that helps consumers and lenders build a healthy credit relationship. Bloom Credit works with financial institutions to nurture consumers who are denied a loan. Our platform provides denied applicants with a data-driven credit-building roadmap to help them improve their financial health and become serviceable for the loan they requested. Most consumers typically become eligible within six months and increase their credit scores 17 points on average. What inspired you to start Bloom Credit? I was working on the marketing team at an NYC startup focused on student lending. Every month we would have to decline hundreds of applicants because of the underwriting standards of the 300+ lenders with whom we worked. I learned that financial institutions do not have a good solution for helping the applicants they turn away to become future customers. Someone who is five or ten points off from qualifying today will receive an adverse action letter but no guidance as to how to improve their credit health. They end up with an expensive financial product or not getting financing at all. We’re helping consumers take positive actions to get them back in a lender’s portfolio and get the loan they need. We show our lenders that when given the right cues, more than 30 percent of consumers on the Bloom Credit platform improve their credit score by 10 points or more, with 9 percent improving by over 40 points or more. If many of today’s lenders originated a loan to just 1 percent of their declines they’d see a 10-point bump in origination volume, which is huge. While your offering focuses on helping consumer before they get a loan, what sort of thought is given to ensuring that these consumers are paying their loans once they are issued? If I’m a lender and I’m looking to grow I should have an interest in maintaining and growing the health of all consumers, not just the ones with elite credit scores. This is about more than financial literacy; it’s about showing consumers that you’re aligned in your purpose to help them get a loan that meets their needs—that they actually qualify for and can repay. The platform itself is positively selecting towards people who are attempting to take control of their financial lives and get on the right track. The thing that often prevents them from doing so is lacking the tools to understand how to manage their credit situation. We’re not so focused on selling the consumer more products, as much as we are helping them stay on track of their existing ones to ensure they keep improving their score and remain in a credit viable position. Lenders will begin to care more about this as CECL compliance comes down the pipeline in December of 2019. For us, we see that these consumers are far more likely to keep repaying, and we care to enable these consumers because without their success everyone loses. To me, the lending scene is currently overly dominated by lead-gen companies that advertise loans to consumers when they’re most vulnerable vs. most ready and credit fit. They don’t care so much about getting you the best loan in the context of your life, just that they can sell you any product at all. This approach often creates a negative relationship dynamic between consumers and financial providers. It costs consumers thousands of dollars in interest and contributes to our nation’s personal debt problem. It does nothing to improve the health of the consumer. It adds institutional risk to lenders. And it completely fails to leverage the best competencies and know-how of the mainstream financial industry. To put this another way, think about how many loan offers you get in the mail today that have nothing to do with what you want, by lenders who pre-qualify you for sums you haven’t even requested, and with terms that seem arbitrary. 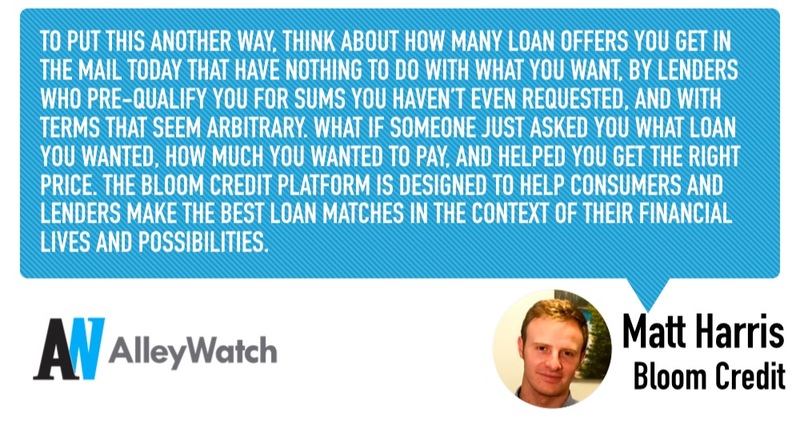 What if someone just asked you what loan you wanted, how much you wanted to pay, and helped you get the right price. The Bloom Credit platform is designed to help consumers and lenders make the best loan matches in the context of their financial lives and possibilities. How is Bloom Credit different? The lending market is fixated on lead-gen-and-transfer tactics, blind offer engines, and so-called credit improvement programs, where the goal is to change or manipulate an existing credit report rather than improve the consumer’s financial habits. Bloom Credit is focused on building the personal-credit and financial capacity of consumers. We help consumers take positive action and chart a course for financial wellness that lasts for a lifetime. We are a financial wellness company that uses technology to facilitate financial inclusion. Our platform empowers consumers to be able to access the financing they need, while helping financial institutions better nurture, and ultimately serve, consumers in a responsible way and grow their business. What market does Bloom Credit target and how big is it? We like to say that we’re for every consumer. We also believe every consumer is inherently creditworthy. Everyone, at some point, will apply for a loan. And even super-prime and prime consumers will get declined or receive offers that miss the mark. But our platform is particularly acute for near-prime and subprime borrowers; one-third of Americans have subprime credit scores. We want to make an impact in this space and help more consumers build their credit health so they can participate in the best parts of the credit market like everyone else. 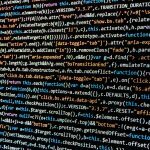 We license our API product for a fee. And when we graduate a declined applicant and send them back to the lender, we receive a ‘graduation fee’ — a portion of the closed loan balance of each originated loan. We also receive fees for product recommendations. Fundraising is a great opportunity to take a step back from your business and get feedback. Feedback is ultimately neutral, it’s up to us as entrepreneurs to interpret it and put it to use. This can be incredibly rewarding when approached from an empowered place. I actually enjoyed most of it, because it gave me a good sense of how the market viewed our product as well as perspective on risks that I wasn’t seeing. I got to meet some incredibly brilliant people throughout the process, which I am grateful for. I was willing to lean into what it was and accept that not everyone was going to say yes. Ultimately, entrepreneurs get to treat this like a job interview for their prospective investors. You’re trying to find the right match, more so than just fill out a number in your round. If you can’t work with someone for the next five years, don’t take their money. However, this is way easier said than done and likely the biggest challenge for any entrepreneur is to make this decision as they feel the pressure of needing to raise funds. I think it was the combination of team, technology and demonstrated market opportunity. We’re going after a market that has been neglected up to now, at a time when financial institutions need to find new ways to grow, and we’re doing it in a data-driven way that empowers and serves consumers. We also bring some incredible perspective most investors aren’t used to. We’ve worked on both the debt and “sweat” side of the marketplace lending businesses, so we understand the business model better than most. This gives us a ton of advantages through information arbitrage in the space. We want to really innovate on the technology side to give consumers personalized information and options that will help them achieve all their goals, not just the one in front of them today. We want to put them on a journey to empowerment. There has been a lot of innovation like this in the investment management space with companies like Betterment, Acorns and Personal Capital. But it still does not exist on the lending and credit side. injection of capital in the bank? Companies often focus a lot on the idea of getting money in the bank vs. what enables that capital to come through. When you look at most major successful companies, they start out with a hypothesis and a test that proves or disproves that hypothesis. Facebook, Uber, and AirBnB all did these types of unscalable tests in order to prove they were businesses that could scale. If you’re looking to raise money, the first step isn’t to speak with investors. The first step is to prove your hypothesis to be true with real evidence. Once you’ve done this, raising money becomes far simpler. We’re going to build out the API technology further to make it really easy for companies to enable credit decisions now and into the future. This is prevalent throughout the fintech world with budgeting, savings and investment management but the same type of planning and advice has yet to really breakthrough in the credit space, where a lot of the decisions can have much longer and more serious long-term ramifications. We intend to be sure we enable as many people as possible to be empowered and make good decisions when thinking about their credit picture. Ho Foods in the East Village is great. Highly recommend everyone check it out.